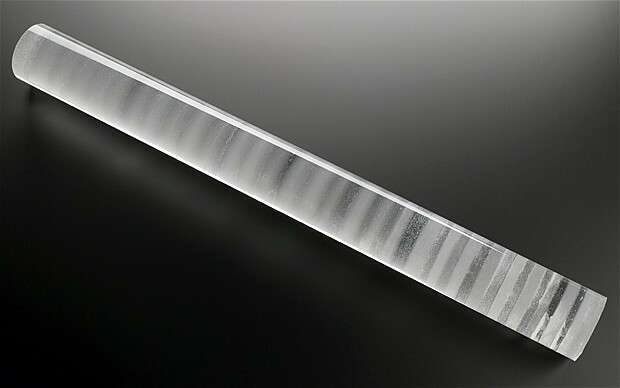 An ice core is a cylindrical tube of solid ice that has been drilled out of an ice sheet or glacier. Most ice cores come from Greenland or Antarctica, the longest ice core is approximately three kilometers long. Ice cores provide researchers with a view into the temperatures and atmospheres of the past. 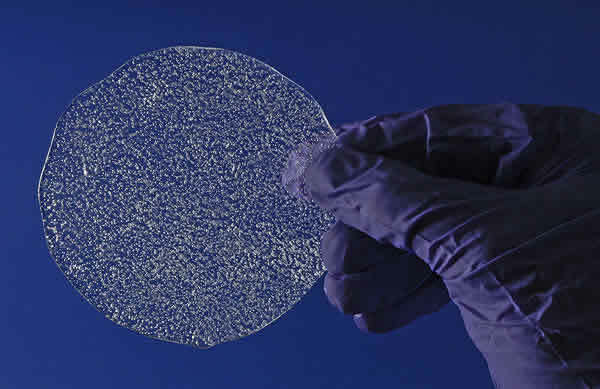 If you were to slice a little disk out of an ice core you would see a bunch of little bubbles indicating gases that have been trapped in the ice for up to 800,000 years. So what do ice cores tells us? Why are they important? Ice cores relay important information about earth’s history every year involving temperature, atmosphere gas concentrations, volcanic eruptions, nuclear bombing, isotope ratios of water, and dust concentrations. In fact, when measuring how many years an ice core can date back to, researchers look to the well-known dates called “dating horizons”. A dating horizon is something like seasonal dust storms that can be used to mark periods of time, or a well-known volcanic eruption. Sulfur concentrations are the best way to tell when a volcanic eruption may have taken place. In the image above are the graphs of sulfate concentrations in ice cores from both Greenland and Antarctic. 73,880 years ago the Toba volcano in Indonesia erupted and sent historic amounts of ash and sulfur up into the stratosphere, effecting the whole planet years later in the form of acid rain. With the information taken from ice cores, scientists are able to make predictions for earth’s climate in the future based on the past. By looking at the patterns of temperature and greenhouse gas levels post natural disasters like a volcanic eruption, scientists can make accurate predictions for our future. One of the other things that scientists have been looking at in the ice cores is greenhouse gas levels. CO2 concentrations in the Antarctic ice cores show that over the past millennium they remained pretty constant in levels until the early 19th century and the industrial revolution. 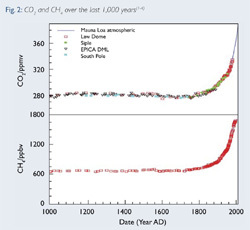 CO2 concentrations have been exponentially on the rise ever since then due to fossil fuel emissions and deforestation. According to the British Antarctic Survey, CO2 concentrations are at least 40% higher than they were before the industrial revolution. That doesn’t seem all that bad when you compare it to the CH4 (methane) concentrations over the past two centuries which has increased more than 200%. Looking at the ice cores it is easy to see that the highest levels of carbon dioxide are during the warmest years and the lowest during the coldest. This simply supports the statement that there is a link to rising temperatures and greenhouse gas emissions. Taking this information into consideration, the earth is only seeing an increase in greenhouse gas emissions even though we know that the increase doesn’t bode well for earth’s well-being. Taking into account earth’s history, we as the ones who inhabit earth should be doing everything we can to try and change the predicted future and potentially save ourselves from unforeseeable fates. Scientists have never seen greenhouse gas levels as high as they are now, so there is no predicting what will happen accurately, they can only guess.